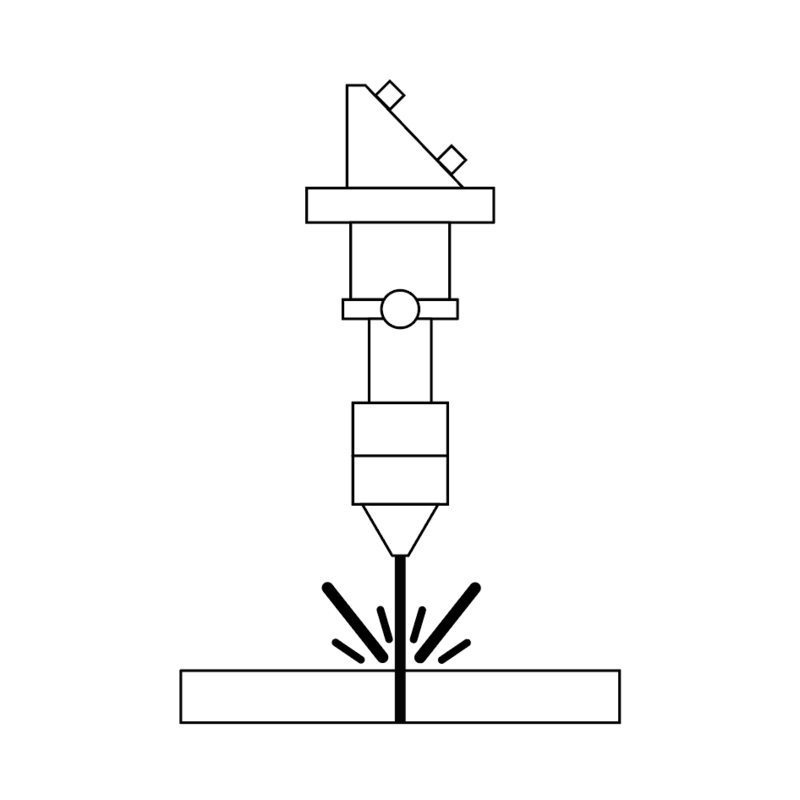 When the machine is engraving, the laser head is actually scanning back and forth across the entire surface of the piece at a very small (.00394”) interval. If you look closely at an area that has been laser engraved you’ll see faint lines that run along the engraved surface. The laser only powers on for the areas that it’s engraving. Machine time is typically much higher for engraved pieces verses scored or cut pieces. This is because when the machine is scoring/cutting, the laser head just follows the score/cut paths directly, instead of scanning back and forth across the entire piece. With some pieces, we might recommend having score lines instead of engraving, especially if you’re working on a budget. LEFT PIECE IS SCORED AND CUT IN 2:30 SECONDS, RIGHT PIECE IS ENGRAVED AND CUT IN 9:30 SECONDS. Engraving color varies based on the material. Wood engraves a darker brown color, but sometimes will have variations based on the wood grain. Colored acrylic typically engraves to be white or a lighter version of the original color. For example, opaque blue acrylic engraves to be light blue and black acrylic engraves light grey or off-white. 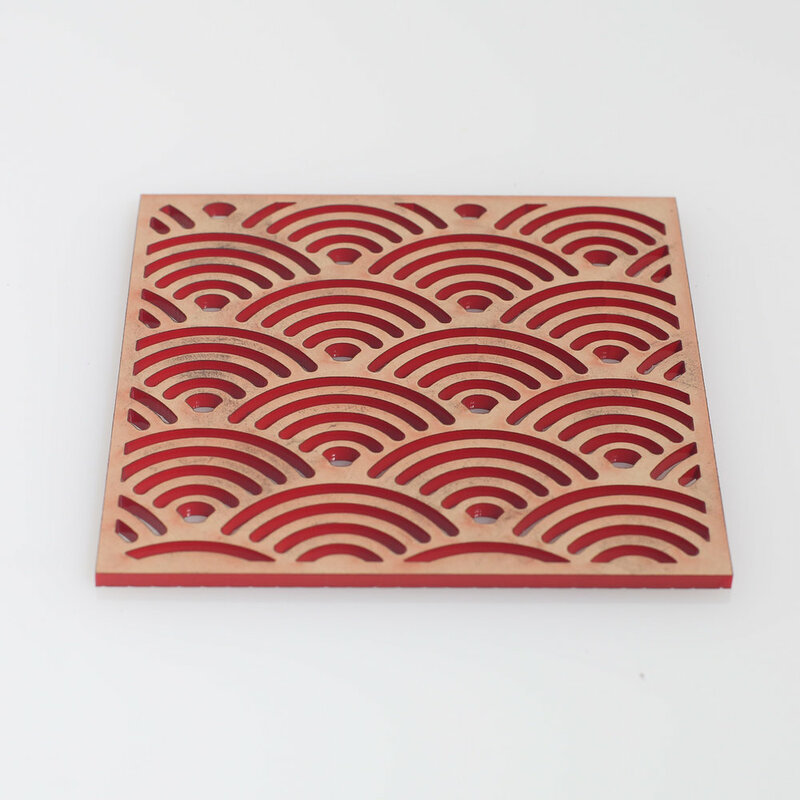 To learn more about what materials we can cut/engrave, visit our materials guide here.